Radi is using Smore newsletters to spread the word online. How video games benefit kids. 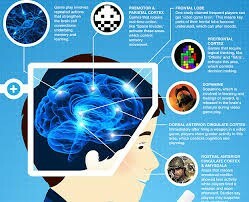 Video games and the benefit on the brain. In one of the articles i have linked they have a example of the army using video games to train soldiers and replicate certain scenarios that they can't really do all the time. I think that if they have soldiers who do it, then I think it's safe. Pictures that I found that suport my point. I found this picture online and i thought it was interesting because it has some of examples of why video games benefit us. 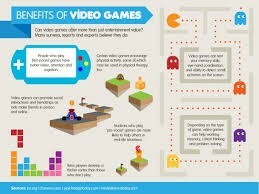 This is another picture that I found that again shows a some examples of how video games benefit you. Just a picture I found and thought i should addd. Alvarez, Steve, Cpt. "United States Department of Defense." Defense.gov News Article: Gaming Is More Than Just Play for Military Services. U.S. Department of Defense, 30 Nov. 2005. Web. 07 Feb. 2014. Dingfelder, Sadie F. "Your Brain on Video Games." Http://www.apa.org. American Psychological Association, Feb. 2007. Web. 03 Feb. 2014. Fleming, Nic. 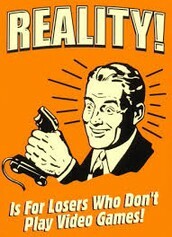 "Why Video Games May Be Good for You." 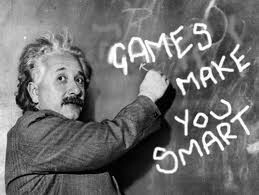 Why Video Games May Be Good for You. Www.bbc.com, 26 Aug. 2013. Web. 4 Feb. 2014. Granic, Isabela, Adam Lobel, and Rutger C. M. E. Engels. "Your Brain on Video Games." Http://www.apa.org. Radboud University Nijmegen, Jan. 2014. Web. 03 Feb. 2014.